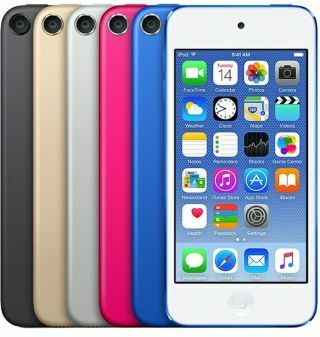 Apple could soon launch a new iPod Touch - and it's about time | What Hi-Fi? Rumour has it that Apple is developing a new iPod Touch (7th gen). Japanese supply chain blog Macotakara has reported that a successor to the 6th-generation iPod Touch (pictured), which launched in July 2015 and is still available for £179, could be on the cards, with the author hearing from ‘several suppliers of Apple’ that one was possibly in the works. The report is vague and product details are truant, however considering the current iPod Touch is almost four years old, an imminent update wouldn’t be undue. As the only iPod variant still around (Apple ditched the iPod Nano and iPod Shuffle in 2017, following its jettison of the iPod Classic years earlier), the Touch would no doubt sensibly remain at a budget, sub-£200 price. After all, with the iPhone only getting more expensive, the Touch is an affordable ‘in’ to Apple Music and the rest of Apple’s app ecosystem. Will it be the cheapest ever iPod Touch? Will it match or surpass the current 32GB storage? Will it have a USB-C? (The report only mentioned that the next iPhone will sport the connector, as has been long rumoured.) We can only hope more details will come to light soon.